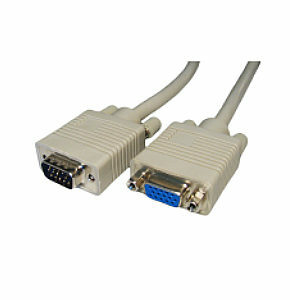 0.5m VGA Extension Cable / SVGA Extension Cable. 0.5m VGA extension cable / SVGA extension cable, ideal for extending a PC or laptop to monitor cable. Profigold PGM1410 high quality 10m DVI-D cable, male to male. Features:- 24k Gold-plated contacts prevents corrosion and ensure optimum signal transfer. 99.96% OFC conductor for crystal clear images. IAT interference absorbers for distortion-free data transfer. Flexible strain-relief design for optimum cable protection. Internal silver-soldering provides excellent signal transmission. Unique connector design for maximum shielding and optimum performance. 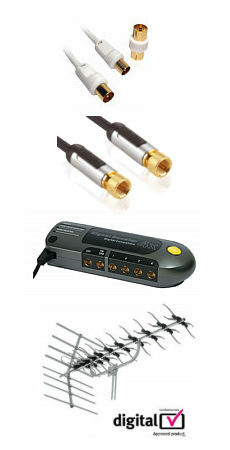 All digital signal transfer without converting analogue to digital or vice-versa.